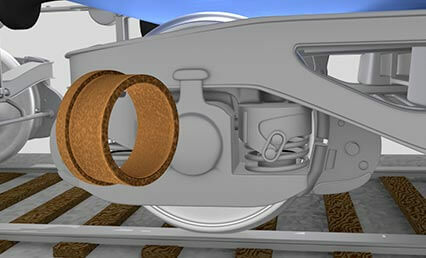 RAILKO RG15 friction damper bushes are used within the suspension dampening system on Y-series freight bogies. 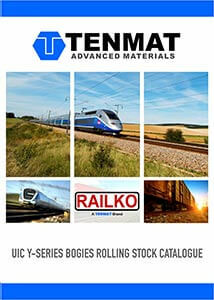 RAILKO RG15 has been specially formulated and manufactured for friction damper applications. RAILKO RG15 friction damper bushes are used to provide optional suspension dampening to the system. RAILKO RG15 offers complete protection against ovalisation to the bogie housing and wear onto the damper plunger which was a common customer problem.